Click this link to purchase Building on Patterns (BOP): Primary Braille Literacy Program First Grade Level, Unit 1. Prerequisite: Building on Patterns: Unit 1 or equivalent skills. Catalog Number: 8-78460-U2 Click this link to purchase BOP GRADE ONE UNIT 2. Note: Building on Patterns: First Grade replaces Patterns Reading: Preprimer, Primer, and First Reader Levels. 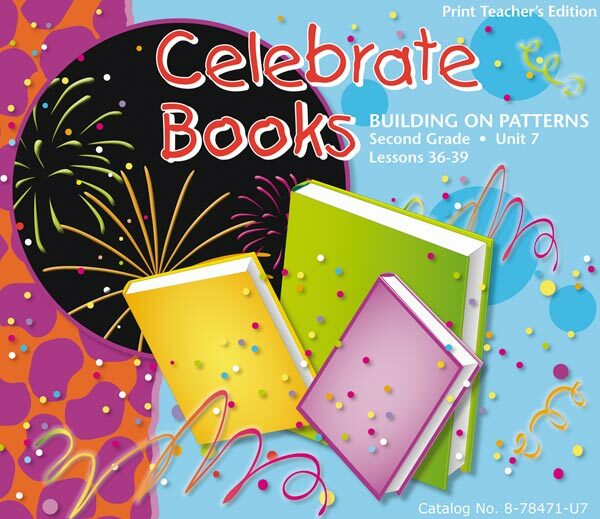 The remaining lesson units of Patterns First Grade (Units 4-7) and Unit 8 (Introductory and Supplemental Information) will be released during the 2009-2010 school year. Click this link to purchase BOP First Grade Level, Unit 3. BOP First Grade Level, Unit 4: Print Kit (Teacher's Materials in print): Catalog Number: 8-78460-U4 Braille Kit (Teacher's Materials in braille): Catalog Number: 6-78460-U4 Click this link to purchase Building on Patterns: Primary Braille Literacy Program: First Grade Level: Unit 4 Kit. Building on Patterns (BOP) is a complete primary literacy program designed to teach beginning braille users all language arts--reading, writing, and spelling. Note: Building on Patterns: First Grade replaces Patterns Reading: Preprimer, Primer, and First Reader Levels. The remaining lesson units of Patterns First Grade (Units 6-7) and Unit 8 (Introductory and Supplemental Information) will be available for sale in the near future. Prerequisite: Building on Patterns: Kindergarten or equivalent skills. Building on Patterns (BOP): Primary Braille Literacy Program: First Grade Level, Unit 5 Catalog Number: 8-78460-U5 Click this link to purchase the Building on Patterns: Primary Braille Literacy Program: First Grade Level: Unit 5 Kit. Prerequisite: Building on Patterns: Kindergarten or equivalent skills. Building on Patterns (BOP): Primary Braille Literacy Program First Grade Level, Unit 6 Print Kit (Teacher's Materials in print): Catalog Number: 8-78460-U6 Braille Kit (Teacher's Materials in braille): Catalog Number: 6-78460-U6 Click this link to purchase the Building on Patterns: Primary Braille Literacy Program: First Grade Level: Unit 6 Kit. 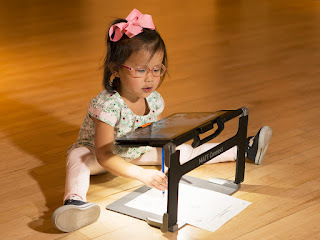 Building on Patterns (BOP) is a complete primary literacy program designed to teach beginning braille users all language arts—reading, writing, and spelling. Age Range: 6 and Up Braille Kit: Catalog Number: 6-78460-U7 Print Kit: Catalog Number: 8-78460-U7 Click this link to purchase Building on Patterns: Primary Braille Literacy Program: First Grade Level: Unit 7 Kit. Catalog Number: 8-78465-00 Click this link to purchase the Building on Patterns: Primary Braille Literacy Program: First Grade Level: Posttest Consumables Pack. Click this link to purchase Building on Patterns: Primary Braille Literacy Program, First Grade: Reference Volume. BOP Second Grade includes more worksheets, part-word braille contractions and other remaining literary contractions and symbols and rules for using them, emphasis on syllables and multisyllabic words and the effect of certain letter combinations on vowel sounds, and the foreign origin of at least one spelling word in each lesson. Recommended Ages: 7 to 8 years Click this link to purchase Building on Patterns: Primary Braille Literacy Program: Second Grade: Unit 4 Kit.